Thinking back on Glen Hansard‘s long and storied career in music, it’s hard to remember that he didn’t release his first solo album until fairly late in the game. 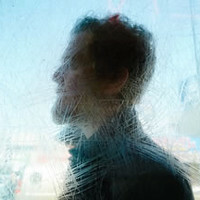 After his lengthy stints as principal songwriter and frontman for the Frames and then as half of celebrated duo the Swell Season, it’s perhaps understandable that Hansard’s debut solo album, 2012’s ‘Rhythm & Repose’, had a sense of urgency about it, restrained but always palpable in both the instrumental arrangements and the controlled stridency of his singing. With his new LP release ‘Didn’t He Ramble’, Hansard seems to have shaken off some of that anxious intensity, settling instead into a more comfortable and contemplative state of mind. I feel I’ve really dug deep for these songs, and I’ve been chasing specific ideas asking myself ‘what is it I’m trying to say with this line or idea?’ One would hope that through all of this that you find your voice. And, amazingly, you might find it in the smallest gesture of a song. It is the variety of those small gestures that make ‘Didn’t He Ramble’ a special and unique listen. The album features added flourishes by Irish folk artist John Sheahan (the Dubliners) and American singer/songwriters Sam Beam (Iron and Wine) and Sam Amidon. Production duties on the record were split between two of Hansard’s previous collaborators, ‘Rhythm & Repose’ co-producer Thomas Bartlett (The National, Sufjan Stevens, Bell X1) and Hansard’s band mate from the Frames, David Odlum (Paloma Faith, Tinariwen). Early single ‘Winning Streak’ is instantly catchy and heartwarming in its adaption of the familiar Irish blessing that begins, “may the road rise up to meet you / may the wind always be at your back”. Hansard’s buoyant lyrics expand on that idea with a list of fond wishes (“through summers long and winters cold / may you always have someone good to hold / may good fortune wait on every bend / and may your winning streak, may it never end”) and uplifting gospel vocals behind its chorus. We featured ‘Winning Streak’ here at TGTF back in July as our Video of the Moment #1841. Hansard channels Van Morrison in ‘Her Mercy’, a slow burning ode to the feminine mystique. Starting with a slow, swaying rhythm, the song builds to a seductive climax of horns and a soaring gospel chorus behind lyrics that alternate between dark despair and glorious redemption, “when you’re ready for her mercy / when you’re worthy / it will come”. The spare piano arrangement and evocative violin melody of the introspective ‘McCormack’s Wall’ contrasts sharply with the belligerent brass, pugilistic percussion and defiantly discordant violin line in ‘Lonely Deserter’. An even-keeled dynamic and Hansard’s deeper vocal tone convey a sense of persistence in ‘Paying My Way’, while a twinkling keyboard melody and a bright whistled tune at the end keep the song lighthearted and optimistic. ‘My Little Ruin’ and ‘Just to Be the One’ are both vague and enigmatic, with the muted heartbeat of bass and percussion grounding their lofty melodic figures and Hansard’s emotive vocals. A simple arrangement of voice and acoustic guitar rounds off the album in ‘Stay the Road’, a beseeching ballad that plays almost like a lullaby as Hansard entreats the final lines “tired, tired eyes, look up and see”. Glen Hansard’s heartfelt lyrics and richly textured singing voice are quite naturally the centerpieces of his intimate and carefully crafted songwriting style. On ‘Didn’t He Ramble’, Hansard has organised a skilled group of collaborators to further express the full range of emotional depth and shade in his songs. The thoughtful and intricate detail of the song arrangements here only serves to enhance Hansard’s well-established talent for penning a poignant tune. Glen Hansard’s second solo album ‘Didn’t He Ramble’ is due for release tomorrow, Friday the 18th of September, on Anti- Records. Watch the album trailer from his label below. Hansard is scheduled to play a single live date in the UK at Shepherds Bush Empire in London on the 21st of October. Past coverage of Glen Hansard on TGTF can be found right back here.